Born on 22nd April 1936, was Glen Campbell, country singer, songwriter, actor, TV presenter. 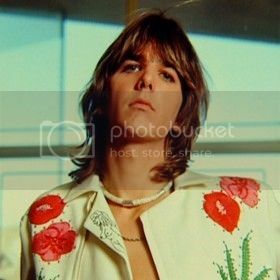 His hits include "By the Time I Get to Phoenix", "Wichita Lineman", and "Rhinestone Cowboy", Campbell has released more than 70 albums selling over 45 million records. As a session musician in the 1960s he worked with Bobby Darin, Ricky Nelson, The Monkees, Elvis Presley, Frank Sinatra, The Velvet Underground, Frankie Laine, The Association, Jan & Dean and The Mamas & the Papas. He was a touring member of The Beach Boys, filling in for an ailing Brian Wilson in 1964 and 1965. 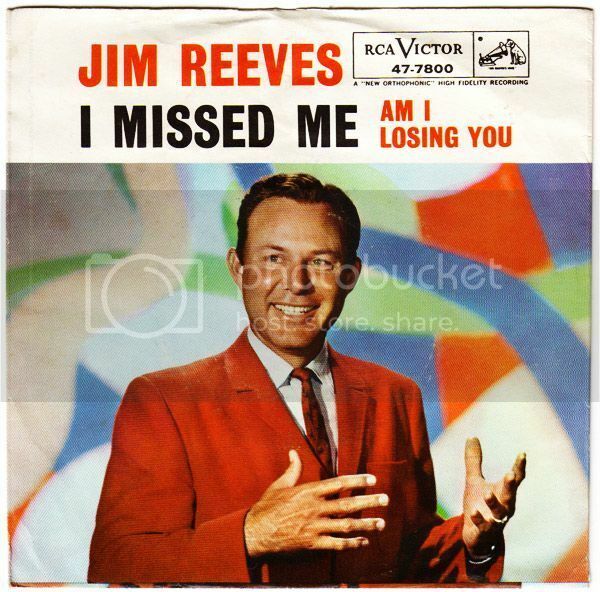 His guitar playing can be heard on "Strangers in the Night" by Frank Sinatra, "You've Lost That Lovin' Feelin'" by The Righteous Brothers and "I'm a Believer" by The Monkees. He topped the US album chart in 1968 with Wichita Lineman. Although the LP would stay on the chart for 46 weeks, it would be Campbell's only #1 album. "Wichita Lineman" has been referred to as "the first existential country song." Apparently, Jimmy Webb's inspiration for the lyrics came while driving through rural northern Oklahoma when he noticed a solitary lineman atop his pole. Webb then "put himself atop that pole and put that phone in his hand" as he considered what the lineman was saying into the receiver. 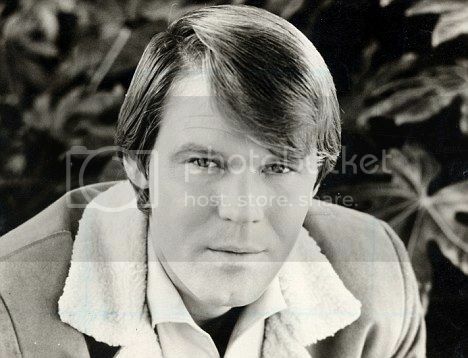 Glen Campbell stated that Webb wrote the song about his first love affair with a woman who was married. Webb was a brilliant songwriter, as was Campbell ("By the Time I Get to Phoenix" and "Galveston"); his songs have been recorded or performed by The 5th Dimension, Thelma Houston, The Supremes, Richard Harris, Frank Sinatra, Elvis Presley, Art Garfunkel, Amy Grant, America, Linda Ronstadt, R.E.M., and Carly Simon. But enough about Jimmy. I�m here to celebrate the life of one my heroes, Glen Travis Campbell. Before I go any further, I want to share with you a night I had in 2012, when I went to see Mr Campbell perform (on what we are told will be his last ever tour). And he was brilliant. He latest album contains a fine collection of tunes written by some of the finest young songwriters we have (Paul Westerberg, Teddy Thompson, Jakob Dylan, Roger Joseph Manning, Jr.), as well as Campbell�s own songs. The album sadly is intended as his farewell to studio recording due to his diagnosis of Alzheimer's disease. Which brings me round to the last time I saw Glenn live. His stage presence is amazing � his charisma flows into the audience from the stage. And the songs, they just kept coming, it was one of those gigs where you think surely he�s played all his hits by know, but now they kept coming. 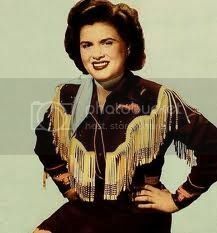 There was one point during the show where Glen was about to launch into the next song when his daughter Debby � who stands close to her father on stage � shouted, �Dad, Dad, this one is in F sharp�, To which Glen replied, �Oh, F sharp is it?� He re-adjusted his hands on the fret board and proceeded to play a blistering guitar solo. Alzheimer's obviously attacks part of the brain but not the part that�s marked �guitar solos and singing�. Another thing he kept doing throughout the show as he looked at the set list to see what the next song was to say, �Oh, I love this song, I�m so lucky to have sung all these great songs.� You are Glen, but it was you who brought them to life! Campbell was in great demand as a session musician in the 1960s and worked as part of the studio musicians' clique known as "the Wrecking Crew." He played guitar on the Beach Boys' Pet Sounds album, as well as on recordings by artists from Elvis to Sinatra. On top of all this, Campbell hosted his own weekly variety show, The Glen Campbell Goodtime Hour, from January 1969 through June 1972. 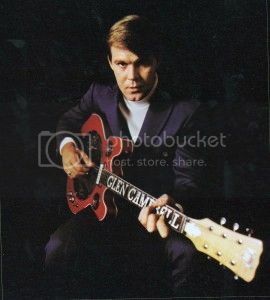 His TV shows broke viewing records; everybody loved to hear Glen Campbell sing and play his guitar. The opening paragraph of his press release for last album says it all: Ghost On the Canvas is the album of Glen Campbell�s life. Take that as literally or figuratively as you like and it still is the case. With beauty, power, heartfelt emotion and deep spirituality, this set of songs - a song cycle, if you will - traces the arc of Campbell�s 75 years: From dirt-poor, tiny-town Arkansas origins to Hollywood triumphs on the pop charts, TV and movies. From troubled free-falls of addiction and bad life choices to personal and spiritual redemption. I�ve lived and I have loved Lord. The world�s been good for me, A better place awaits, You�ll see"
Glen Campbell is our real life �lineman�; he�s told us countless tales in his songs over the years, he�s played on some of our favourite records. Thanks, Glen, we�re going to miss you and that guitar of yours.